From Lefse to Pita...a Midwestern Girl in Israel: after a long hiatus...third year begins! after a long hiatus...third year begins! I know it has been a really, really, REALLY long time since I updated this blog. Over a year, in fact. So let's catch up- I completed my second year of medical school and took the first part of my licensing exam, Step One. Hard to believe I can sum up the hardest year of my life in a single sentence, but I spent the whole time with my nose in a book. And not the fun kind, but the dry textbooks without any pictures. Let's move on. Despite studying like crazy, I got to spend a few months at home with my family. They fed me and kept me sane, while continually dropping not-so-subtle hints about the wonders of living in Minnesota. It wasn't hard to convince me, especially after a week at the lake. And, of course, it will always be easy to convince me to return when I have a nephew this cute. However, time keeps moving, the way it always seems to when you stop paying attention. Too soon, it was time to return to Israel, to school, to real life. The start of third year means it was time to prepare for working on the wards, finally seeing real patients and finally learning what medicine is all about. 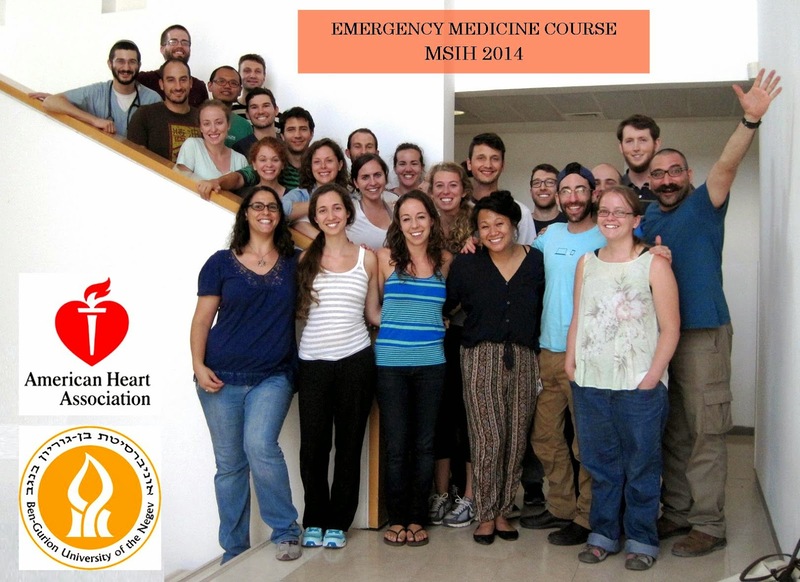 We started with a two week emergency medicine class, where we learned how to act like t.v. doctors (and then how NOT to) while learning skills like defibrillation and intubation. The most exciting, and the most terrifying, was learning how to draw blood and place an I.V. As you can see from my bruises, my classmates and I still have some work to do perfecting our skills! Yet we are out of time, and next week we need to review physical exams before starting on the wards. So for now, we count ourselves proficient in emergencies and look forward to the next challenge. Can't believe that medical school is halfway done already!